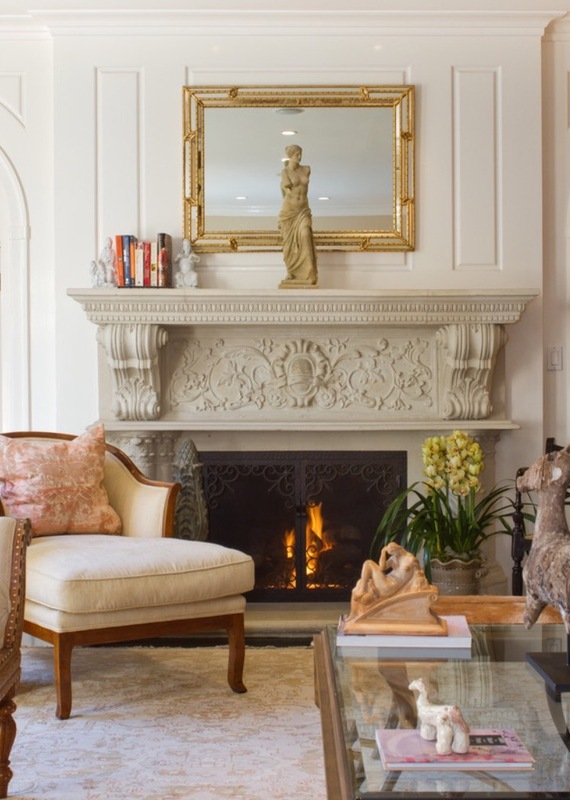 I am currently in the thick of working on a fireplace redesign for a client, and I wanted to share with you the many different designs that can be centered around this cozy space in your home. 1. 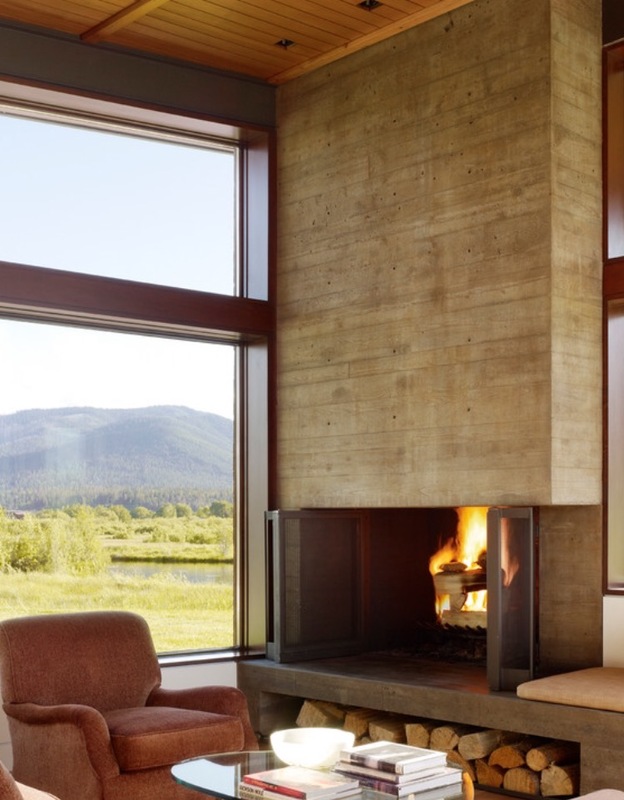 Modern Fireplaces will use clean lines, minimal details, simple materials and will overall feel more linear in design. 2. 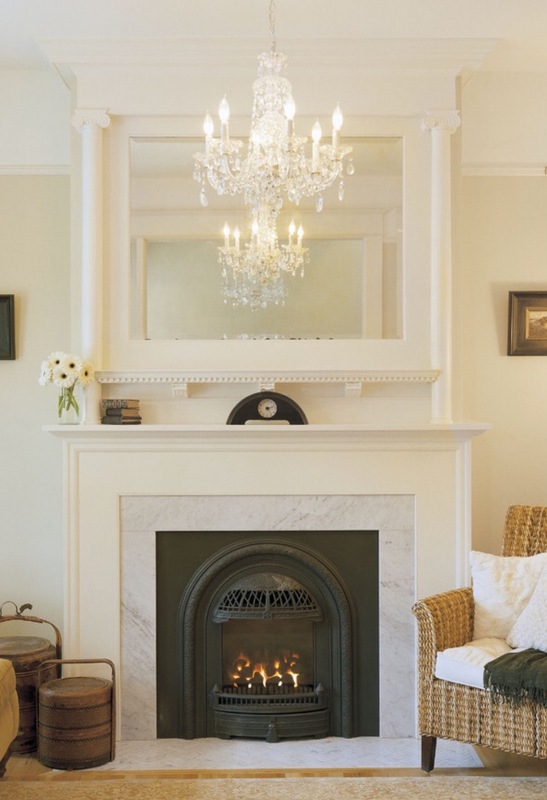 Traditional Fireplaces will include more detail, sometimes feeling very ornate, often times using more curved and complex moldings, columns or cornices and will us marble or granite for the hearth and facing instead of smaller or detailed tile work. 3. 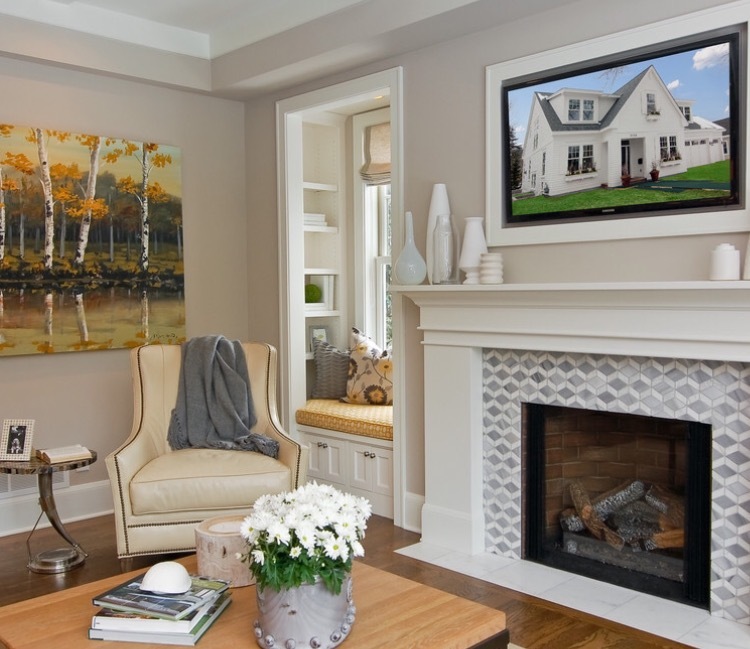 Clean & Transitional fireplaces will use details that are a softer, simplified version of the traditional, without eliminating all detail and swinging fully into the modern realm. 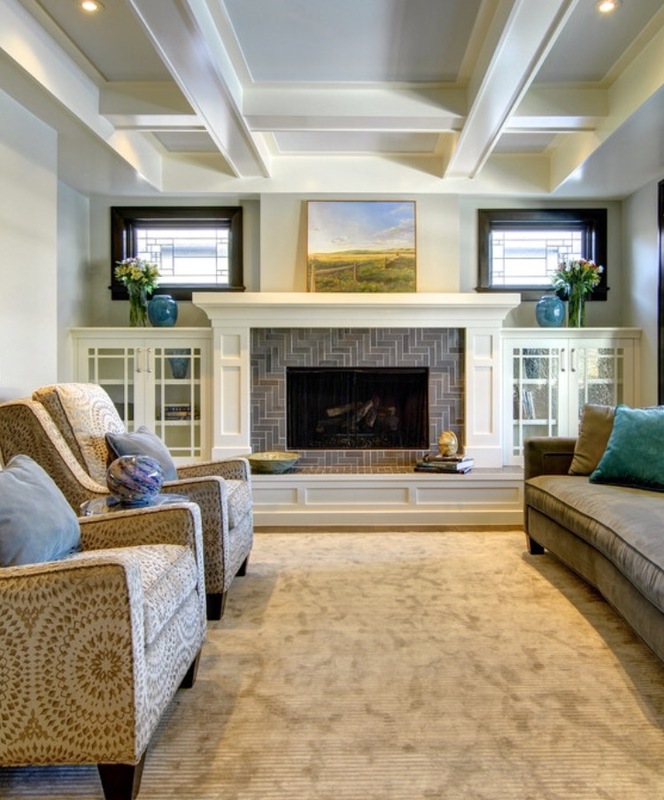 They will often use a more decorative tile surround to create some visual interest in a subtle way, while any molding or framing elements will remain simple. 4. 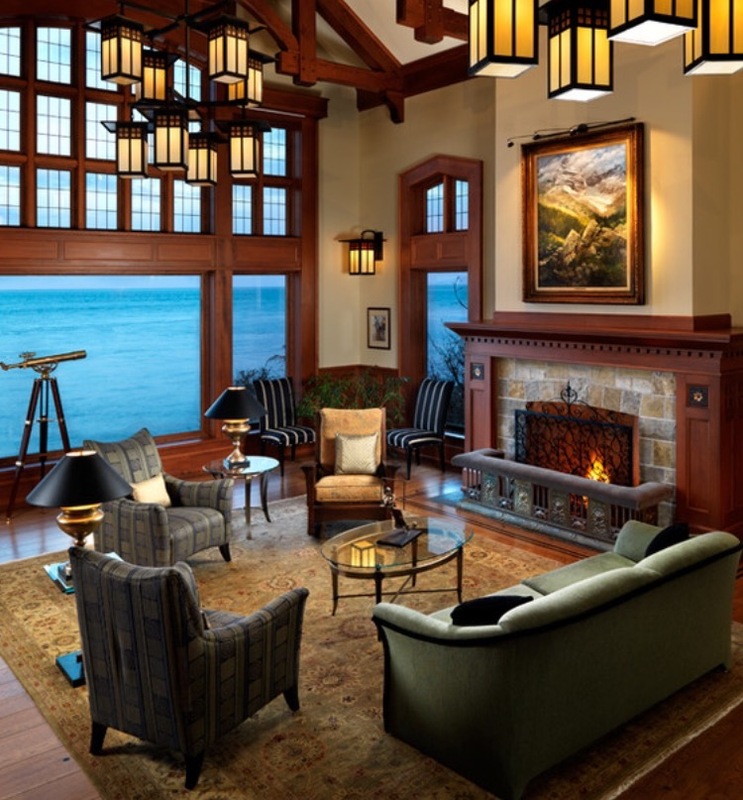 Craftsman-style fireplaces will use chunkier wood elements, with a more geometric and linear feeling. 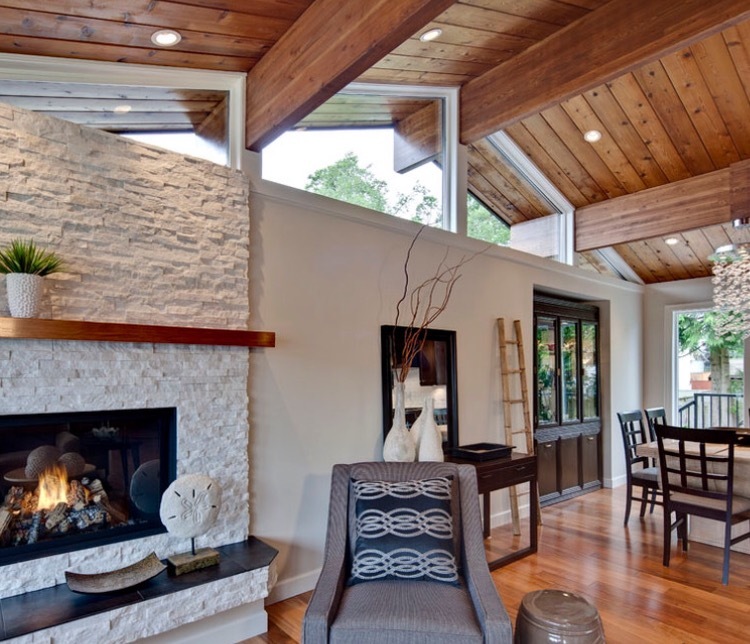 There will be a repeated line or box element throughout the design to enhance the craftsman feel, and though this style often dictates the use of natural woods, a similar look and feel can be achieved in white as well. 5. 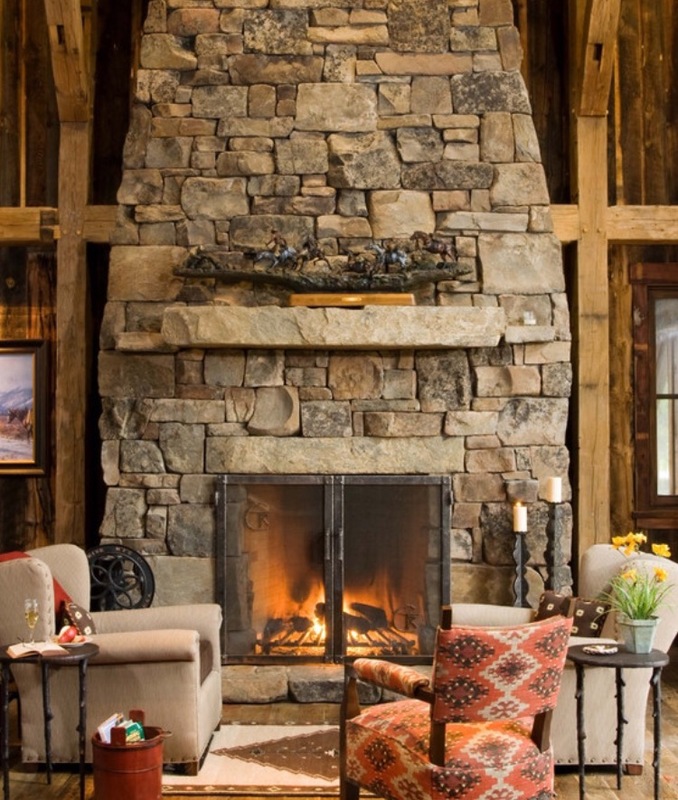 Rustic Lodge & Cabin-type fireplaces will be seen with large rock or stone facings, typically at a large scale extending from floor to ceiling. They are often combined with large wood mantle pieces and will use other nature inspired elements to create the full look. 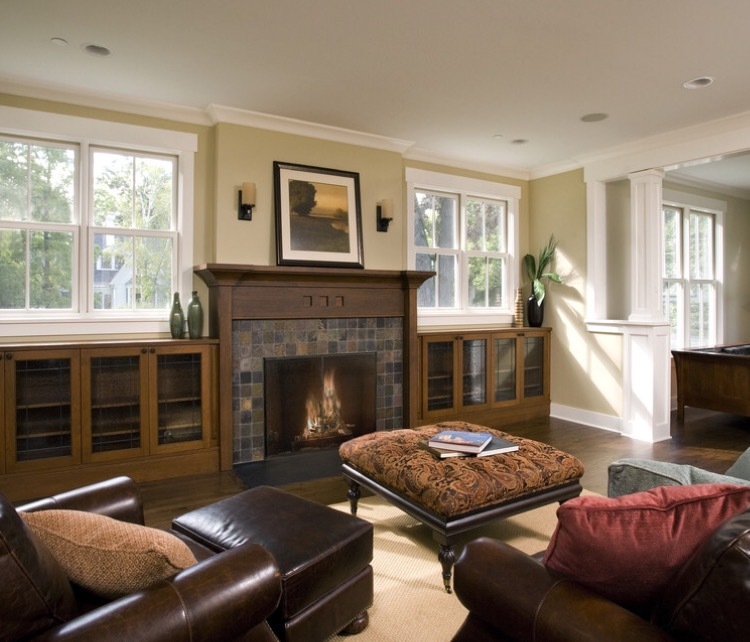 Do you have a fireplace in your home? What style does it fall into? Is there a style you would be happier with? 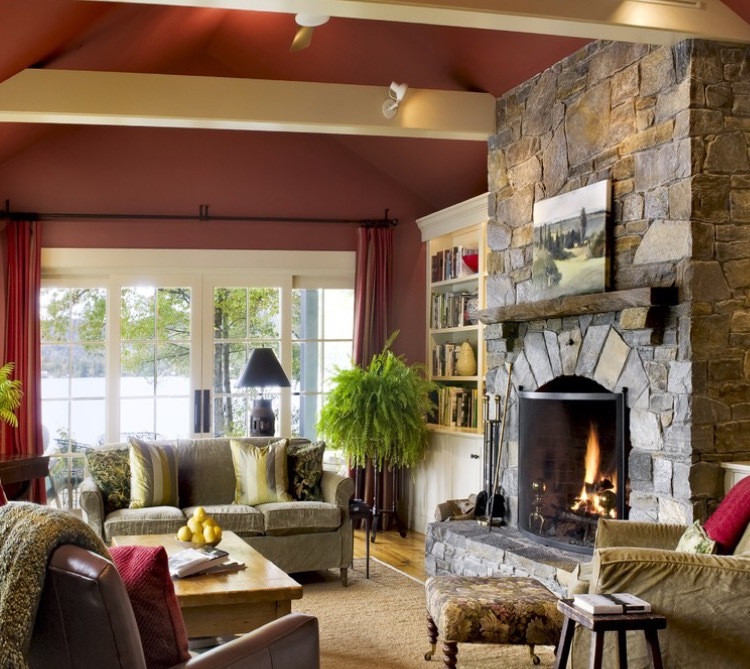 Sometimes changing the feeling of a major focal point in your space can be all you need to feel like the room is your own, and a fireplace is certainly a good place to start. Make it work for you and your family so you can really enjoy it! Image sources 1, 2, 3, 4, 5, 6, 7, 8, 9, 10, 11, 12. 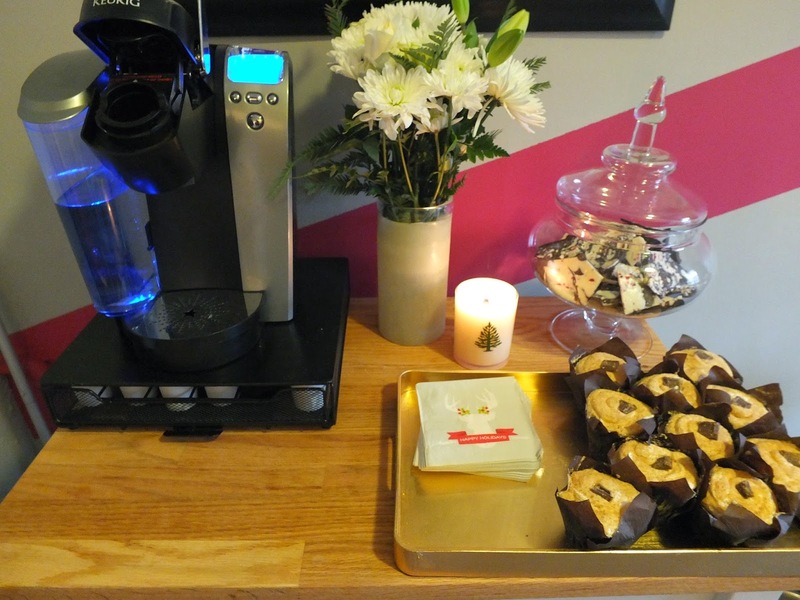 This year P & I hosted our first-annual holiday soiree! I love getting friends and family together under one roof and the memories you make when everyone is together. To me, this is the reason for the season: to be together with loved ones making those memories. I don’t have any good pictures of the tree, so this is as good as it gets! 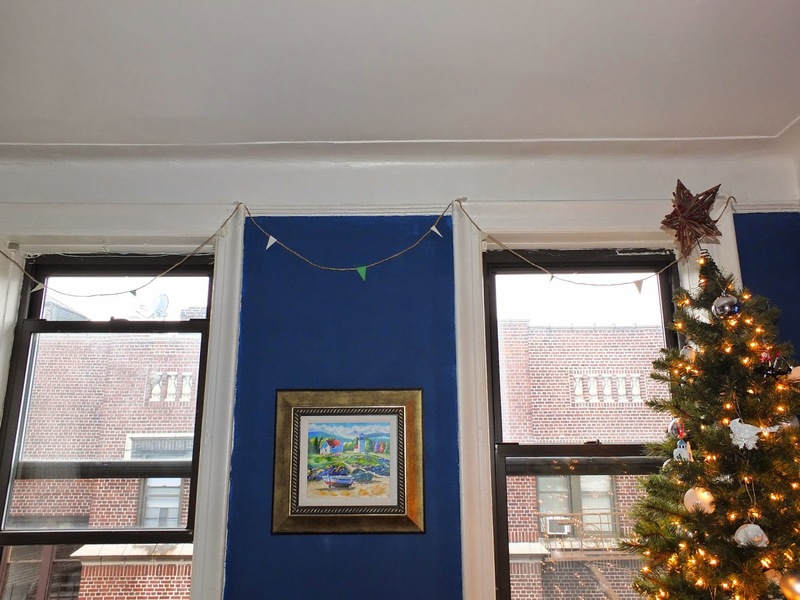 Note the DIY garland strung across the otherwise bare windows. Doing what I do and being who I am, I needed everything in its place. The house needed to be in order, the halls perfectly decked and the food perfectly plated. I love how this garland came out, strung across the wreath on our front door wishing everyone a Merry Christmas! Instead, what we did was minor holiday decor, a wreath on the front door to welcome guests and a tree in the living room corner as the focal point. The rest was all candles, florals and greenery. 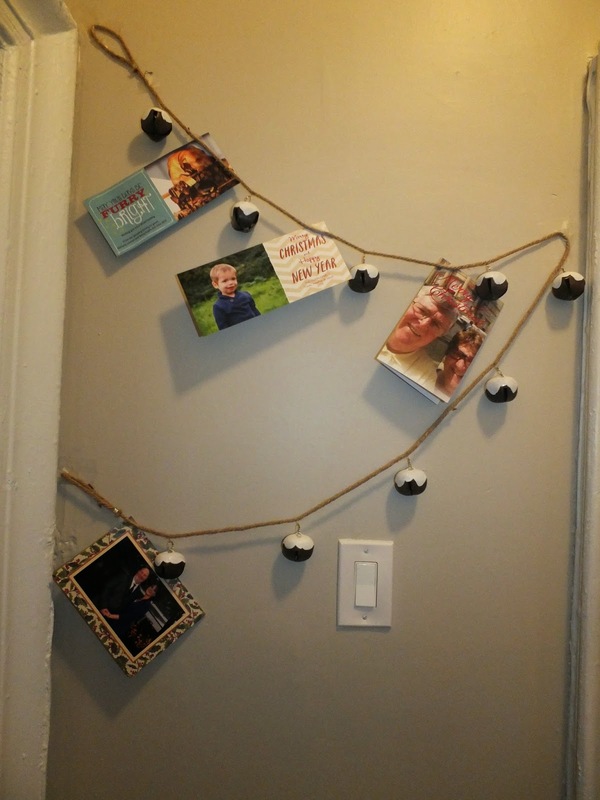 I found this jingle bell garland at Home Goods and decided to string it up as a card holder in the entryway. 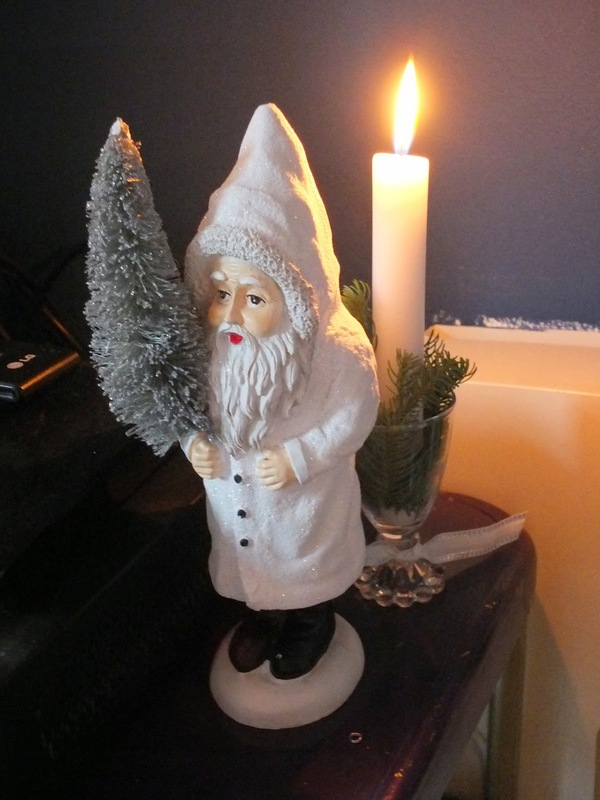 I love this little Christmas gnome, found at Target. P & I moved the dining table into the living room and used that as the food station, where we served a variety of meats, cheeses, veggies with dips and pigs in a blanket. Since there was no outlet here, we used a coffee table in the corner as a station for the little crock pot which contained spinach artichoke dip and a freshly cut baguette. 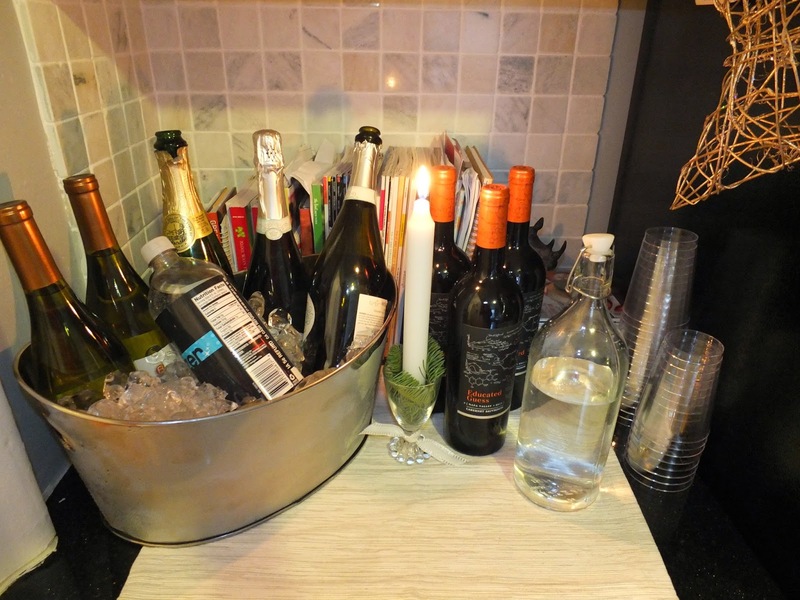 We cleared the coffee cart to be used as a coffee and dessert station, and we set up the small counter next to the fridge for drinks, using an ice bucket for the white wine, champagne and sparkling cider, with a bottle of red and a stack of cups along side. Nobody commented on the decor or lack of decor, everyone ate the food, enjoyed the wine and bubbly, and there was plenty of laughter to last the night. Brantley didn’t shower, but he was very pleasant and had a great time with all the company that was obviously there just for him! Did you do any hosting this holiday season? How did it go? 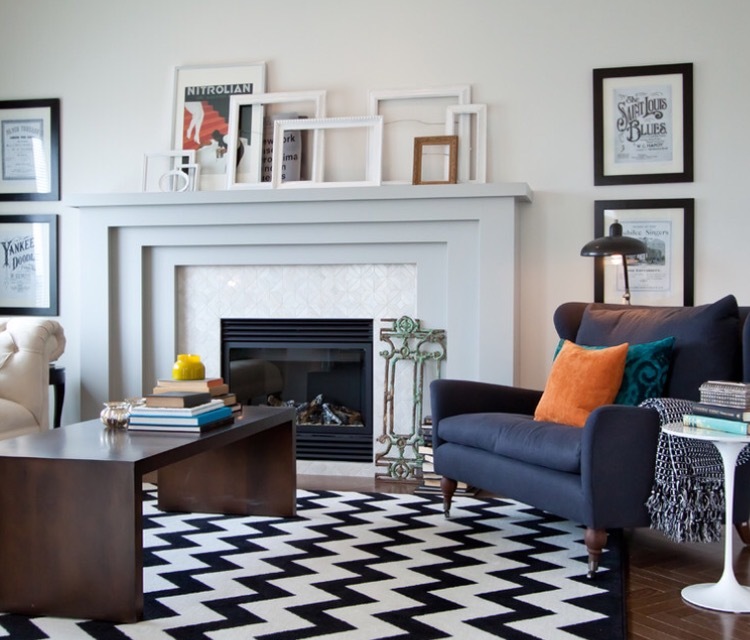 Since my home isn’t currently ready for a holiday home tour, I have been searching for some incredibly beautiful spaces styled for the season. 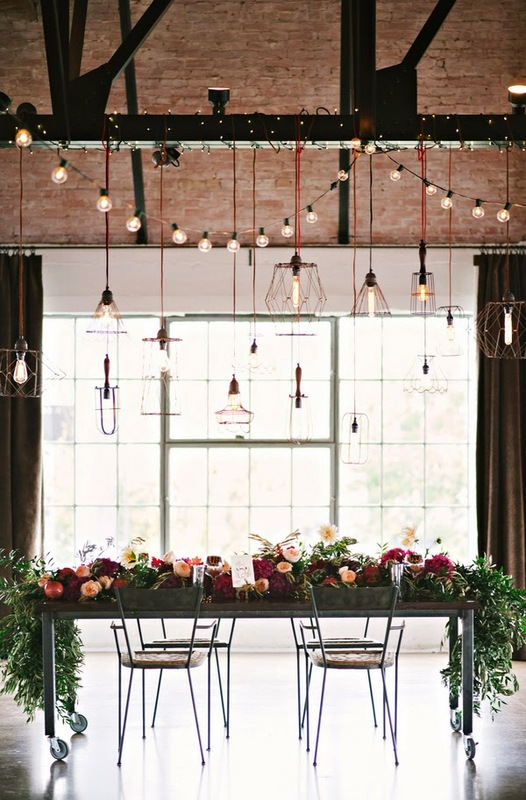 There is so much out there that I just love that it was hard to choose which spaces I wanted to share, so I narrowed it down to three lovely and fully decked-out rooms. First things first. If you have been reading along here for any length of time, you know I’m obsessed with flowers. Obsessed. I couldn’t look away when I found this incredible table-scape that is quite literally overflowing with florals and greens. Top it off with those layers of light (again, mildly obsessed), and I am fully in love with this room. Next up, this nature-inspired cabin in the woods is a real winter wonderland. 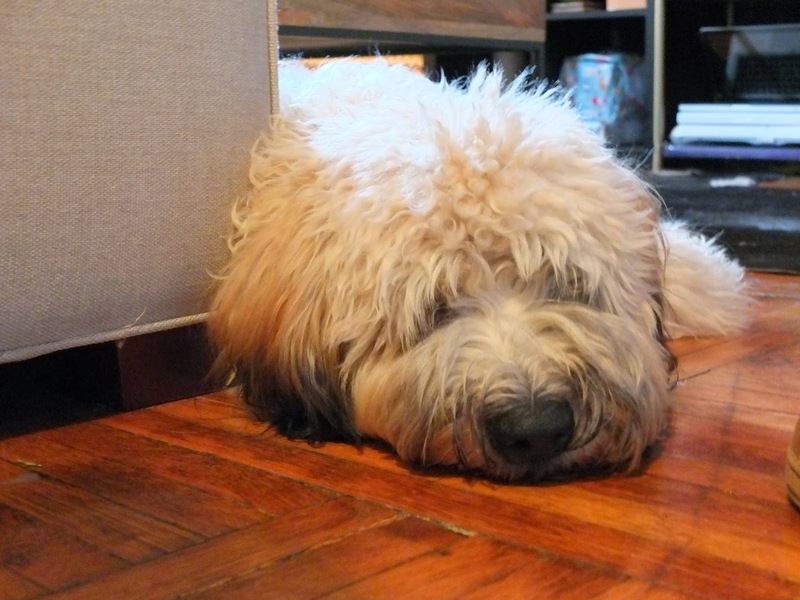 Through my favorite social media outlet (Instagram) I found Brian Patrick Flynn, an interior designer in Atlanta. He does incredible work and his commentary on his feed is hilarious. 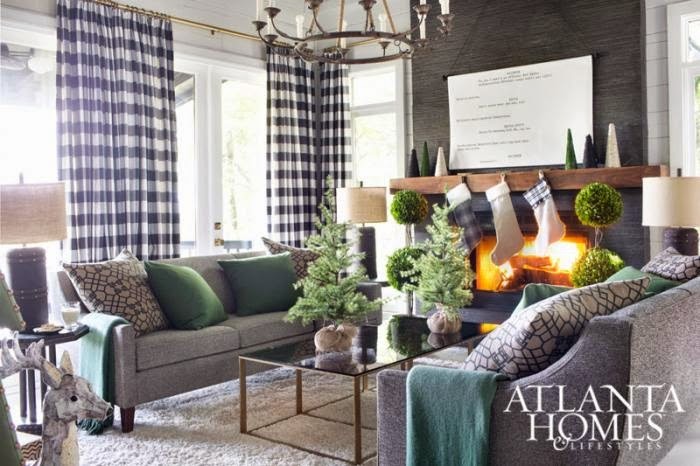 Last week, he shared his cabin all decked out for the holidays I linked over to his post as well as the post in Atlanta Homes & Lifestyles to soak up all the little details! Color, texture, pattern and the holidays. Cozy perfections. The natural details from the greenery, to all of the different trees and woodland critters, this is a holiday scene I can definitely appreciate. Not to mention, that cabin in the mountains… I’m sure it is stunning year round, what an incredibly backdrop for design! Lastly, Toronto-based interior designer, Jessica Kelly, combined traditional festive details (wreaths, candles & greenery) with a bold hit of hot pink. I am in love with this combination! 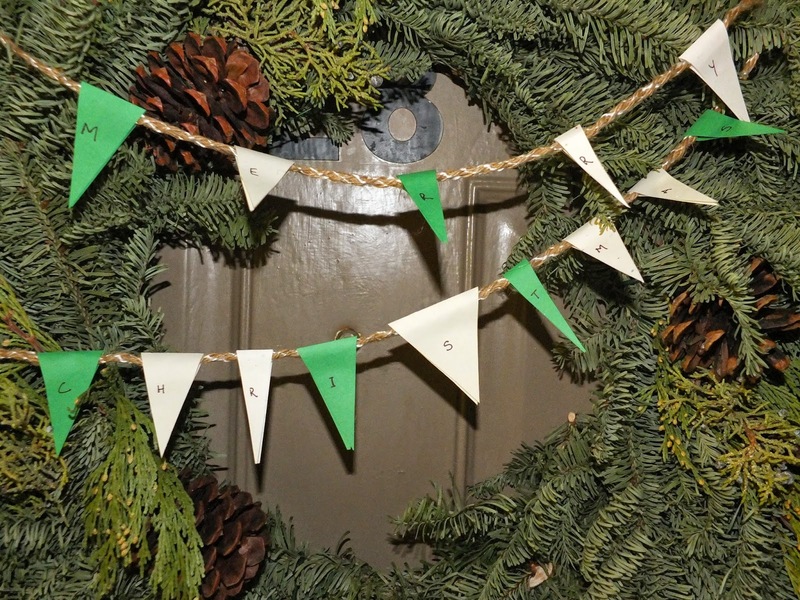 It is such a cheerful twist on the classic green-and-red holiday color combination. The elegant way in which Kelly implements the pinks (again… I’m a little obsessed) is so charming while keeping it very sophisticated. Her pink and green holiday theme was featured in Style at Home, and it is definitely worth linking over and flipping through the images. This year, we have already picked our scheme, and unfortunately I don’t think it really represents any of these styles. This year we have been so busy that I make no promises that it will be fully decked-out. That said, next year I might just be sharing some hot pink additions to our holiday decor!